The Canteen is Camp Indy’s food & snack shack. All campers get a free snack each day. You can also add money to your child’s account so they can grab extra as they please during Canteen Time or when they’re waiting for you to pick them up. The Canteen also provides a simple way to provide your child lunch. For $4.00 a day, they get an easy (and tasty) lunch! Lunches can be ordered on a weekly basis or daily by 9:00 am. 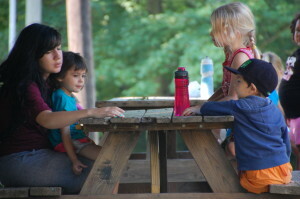 If you have questions, contact us at info@campindy.org. Pizza orders for Wednesday lunch must be ordered by Tuesday morning! Extra slices of pizza are a $1.25 with purchase of lunch. *Some camps are off campus during lunch. If they have canteen lunch, they will receive a deli sandwich meal that day in place of the scheduled lunch.